Starting Monday, April 23rd through Saturday, April 28th, we at Bobby Ford Tractor and Equipment are having our biggest event of the year. Come in any day of the event to take advantage of our “Ride and Drive” where you’ll get the chance to demo that Kubota you’ve had your eye on. In addition to our week-long Ride and Drive, we’ve got daily raffles, a Kubota mower giveaway, special pricing on our line of SSV’s, and up to $33k off MSRP on our M6 Tractors. We want you to save big during our week-long Kubota Field Event, so we’re offering huge savings on our line of Kubota Tractors. But hurry in because these specials are for a limited time only. Our 2015 M6-131 and loader comes at an MSRP of $102,513, but during the Bobby Ford Kubota Field Event from 4/23 – 4/28, we’re offering you up to $30,000 off of MSRP. This model is powerful, yet comfortable. Don’t take our word for it, come in during the event to give it a test drive and see for yourself. During the Bobby Ford Kubota Field Event, you can take up to $33,000 off our 2015 M6-141 and loader that had an original MSRP of $108,357. With gross engine power of just over 141hp, there is hardly a job that this model can’t handle. This M6 offers the largest total dollar savings of all our M6 tractor models during this week-long event. During the Ride and Drive event, check out our 2015 M6 101 at Bobby Ford Tractor and Equipment. With an original MSRP of $88,345, we’re offering up to $25,000 off MSRP during our week-long event. This model is priced to sell, and we don’t want you to miss out. 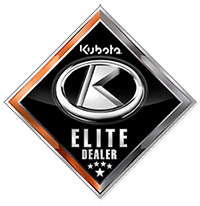 Be sure to join us during the Bobby Ford Kubota Field Event to give it a test drive. We have not one, but two 2015 M6 111 tractors with loaders that are included in our special pricing during this week’s Field Event. Our 2015 M6-111 and loader has an original MSRP of $91,883, boasting up to $23,000 off during the event. We’ve also got a second 2015 M6-111 and loader at an MSRP of $93,416 with an even more exciting discount of up to $25,000. The only thing more impressive than the special pricing on these M6-111 models during our Field Event is their performance. Our M6 Tractors offer top-notch features, and are designed with hay, cattle and ranchers in mind. Our M6-111’s are packed full of power, comfort and are versatile enough to conquer any job you throw at them. If you’re in the market for quality equipment and exceptional services, the trained experts at Bobby Ford Tractor and Equipment have you covered. We take pride in meeting the needs of your individual situation, no matter how large they may be. We have a massive selection of inventory to help solve whatever problem you’re trying to tackle. If you don’t see the machine you’re looking for, we’re confident that we can order it for you. At Bobby Ford Tractor and Equipment, years of experience allow us to sell big while maintaining the quality and customer service you’ve come to expect from our Kubota dealership. Our mission is to offer you the latest in equipment, parts and products at the best prices, and with unparalleled service. We are determined to fulfill that promise to every customer who walks into our showroom. Don’t miss the Bobby Ford Kubota Field Event happening now through Saturday, April the 28th. Visit us in our showroom at Highway 288, Angleton, or call us today for more information: 979.282.3142.